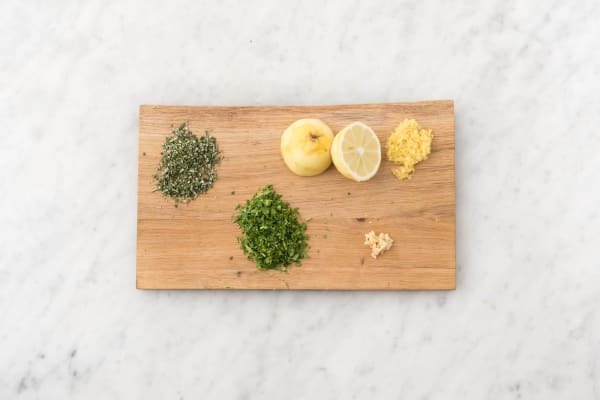 Don’t let the name intimidate you: gremolata is a gussied-up name for an easy-to-make herb condiment that tastes fresh like a spring day. 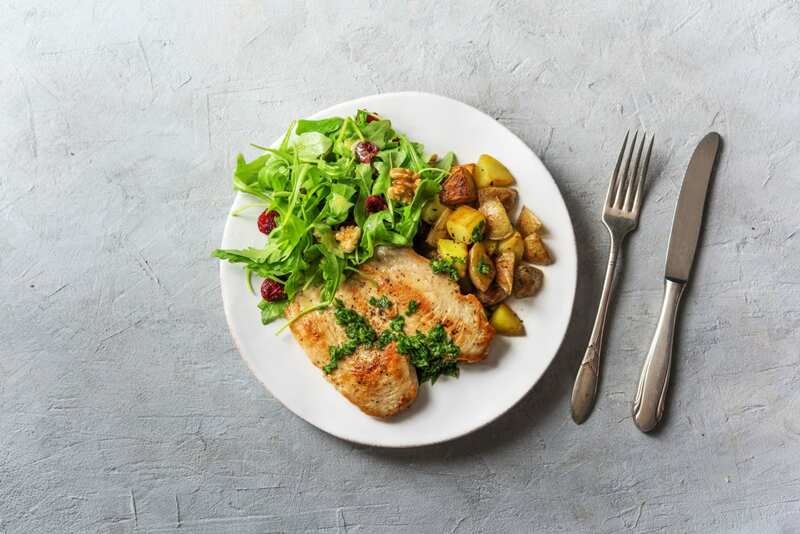 It breathes new life into this simple meal of chicken and potatoes. 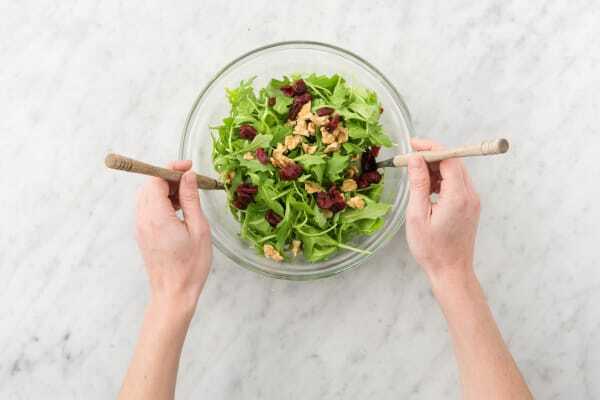 On the side, you’ve also got a cheerful salad of arugula, cranberries, and walnuts in a lemony dressing—just the thing to put a happy, hearty smile on your face! Wash and dry all produce. Cut potatoes into ¾-inch cubes. Place in a medium pot with enough salted water to cover by 2 inches. Bring to a boil and cook until tender, 10-12 minutes, then drain. Meanwhile, zest and halve lemon. Mince garlic. Halve, peel, and mince shallot. Strip rosemary from stems. Chop leaves until you have 1 tsp. Finely chop parsley. 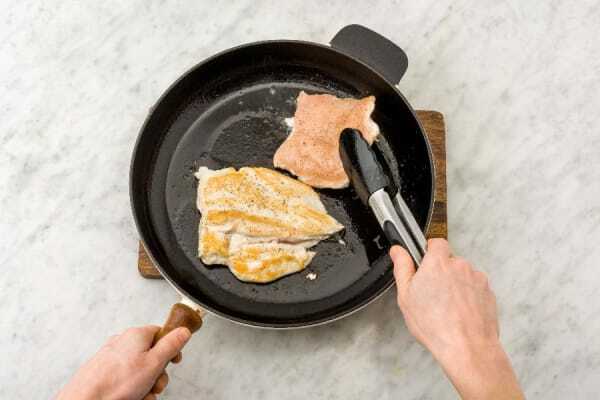 With your hand on top of one chicken breast, cut ¾ of the way, parallel to the cutting board, stopping before you slice it completely. Repeat with other breast. Place chicken in a medium bowl with juice of one lemon half, half the garlic, and a large drizzle of olive oil. Season with salt and pepper. Toss to coat and set aside to marinate. Heat a drizzle of olive oil in a large pan over medium-high heat. Remove chicken from marinade, shaking off excess, and add to pan. Cook until browned and no longer pink in center, 3-4 minutes per side. Remove from pan and set aside to rest 5 minutes. TIP: Cover chicken with aluminum foil to keep warm. 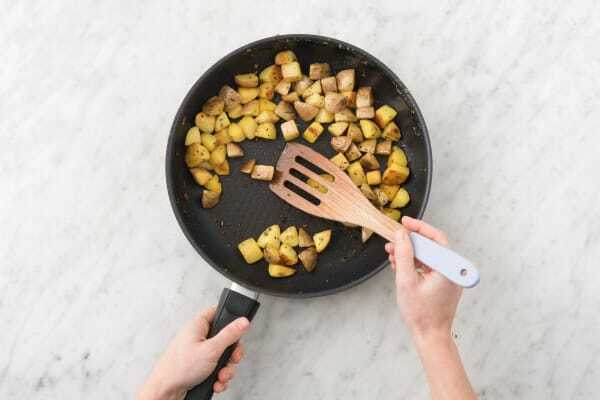 While chicken rests, toss together potatoes, rosemary, shallot, remaining garlic, and a drizzle of olive oil in same pan over medium-high heat. Cook until fragrant and starting to brown at edges, 3-4 minutes, stirring occasionally. Season generously with salt and pepper. 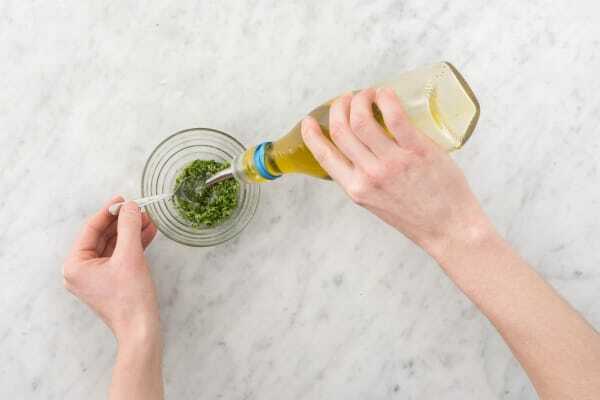 In a medium bowl, whisk together a squeeze of lemon juice and a large drizzle of olive oil. Add arugula, cranberries, and walnuts. Toss to coat. Season with salt and pepper. Divide salad between plates, then add chicken and potatoes. Spoon gremolata over chicken.